There are two artists named Stateless: a UK trip-hop/rock band and a Swedish nu-jazz artist working on Freerange Records (other project: Swell Session, real name: Andreas Saag). 1. Stateless are Chris James (lead vocals, keyboards, guitars), kidkanevil (turntables, sampling, programming), Justin Percival (bass, vocals) and Dave Levin (drums). 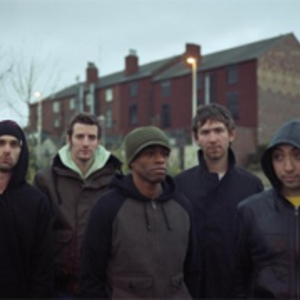 Their self titled debut album was released on July 16th 2007 on !K7, whilst their sophomore release 'Matilda' was released 21 February 2011 on Ninja Tune. kidkanevil also releases solo work, see www.kidkanevil.com for more info. 1. Stateless are Chris James (lead vocals, keyboards, guitars), kidkanevil (turntables, sampling, programming), Justin Percival (bass, vocals) and Dave Levin (drums). Their self titled debut album was released on July 16th 2007 on !K7, whilst their sophomore release 'Matilda' was released 21 February 2011 on Ninja Tune. kidkanevil also releases solo work, see www.kidkanevil.com for more info. 2. Growing up on Hono, a small island outside Gothenburg, Andreas was influenced by his father's love of electronic music. Artists such as Brian Eno and 60's soundtrack experimentalist David Axelrod inspired Andreas to create progressive and original tracks. Another major influence is jazz legend Herbie Hancock, who motivated Andreas to master improvisation skills on his first instrument, the keyboard. Andreas started playing the piano at the age of six and discovered techno and other experimental music at the age of 14. Today Andreas is involved in several projects. His Swell Session moniker on Hollow recordings has received acclaim from the likes of Gilles Peterson, Les Gammas and LTJ Bukem. Not one to be confined to a particular style, Andreas records techno for SLS and Fleebite and with his partner Jonatan has an experimental pop duo, Saagolime.